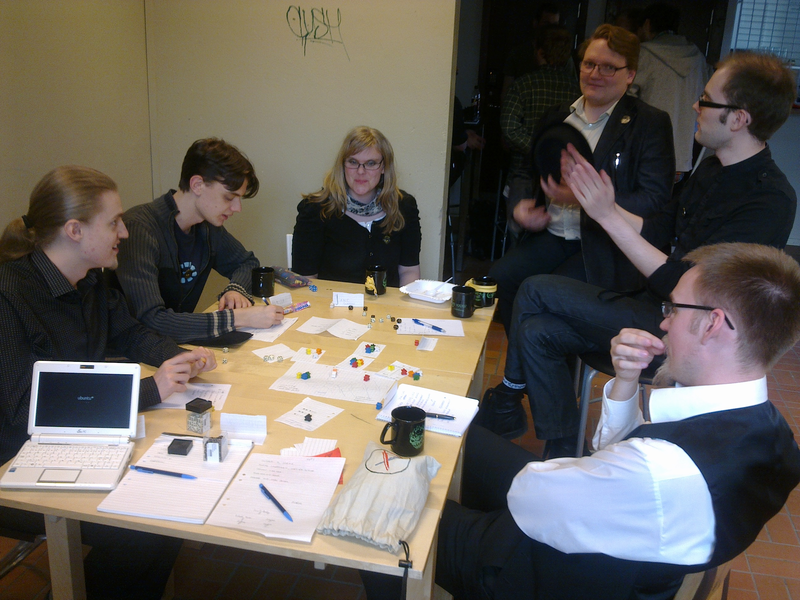 One of the games I got on GothCon XXXV was Teknochock by Olav Nygård. I looked at an early draft of the game and gave some feedback, a few months later Olav came by the Indie Gaming Lounge and gave me a copy of the completed game. The game is 144 pages in A5 format. The text is single column, but pulls it off without becoming hard to read, thanks to enough space between the lines. It is a pleasant read, the rules are clear and the setting is even poetic in places, but it took around two hours to get through. There are lots of black/white illustrations by a number of different artists. The styles are varying, but there are only a few pictures that feel a bit out of place. The setting in Teknochock is cyberpunk. The PCs are members of a street gang in a city modeled on Bladerunner or Gibson’s Sprawl trilogy. Players who have played Cyberpunk 2020, Mutant 2089 or NeoTech will feel at home. The life as a gang member is tough, drugs and violence is everywhere. All the PCs start with one mental problem, rolled from a long list in the book. The rules are elegant and simple. Eight stats that each cover one aspect of the life on the street, paired in groups of two. Assign a fixed number of points within each pair to know how good the PC is at action within that area. The typical value is 8. Basic resolution rolls are done by rolling any number of D6s. The sum of the dice rolled should not exceed the value of the ability, and if it does not every 1, 2 or 3 counts as a success. 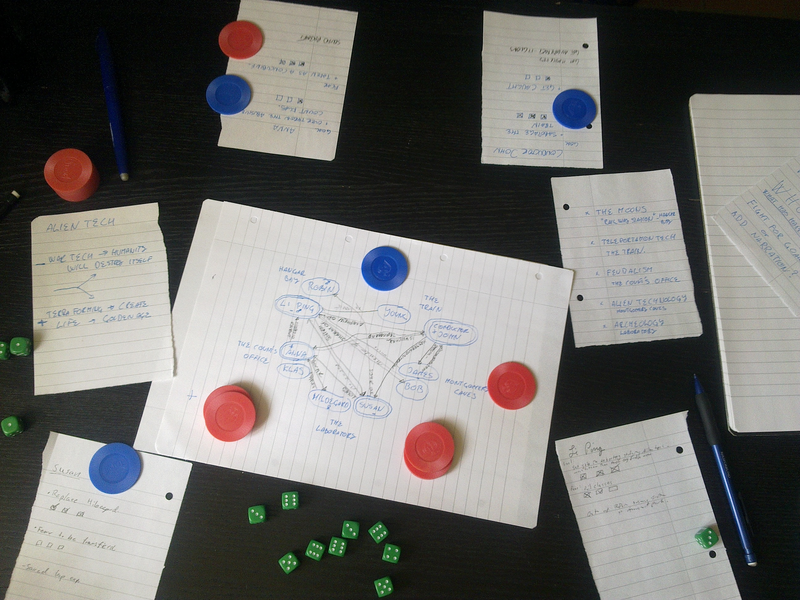 The player can play it safe with few dice, or roll several for a chance of multiple successes. Various tweaks and exceptions are laid upon that system to add some further depth to the characters. The PCs get experience from playing adventures, and as they raise their status stat they climb within their own organization. When the status gets high enough the PC has managed to leave the street. Teknochock has a win condition, but one that shouldn’t affect the game if only one-shot adventures are played. 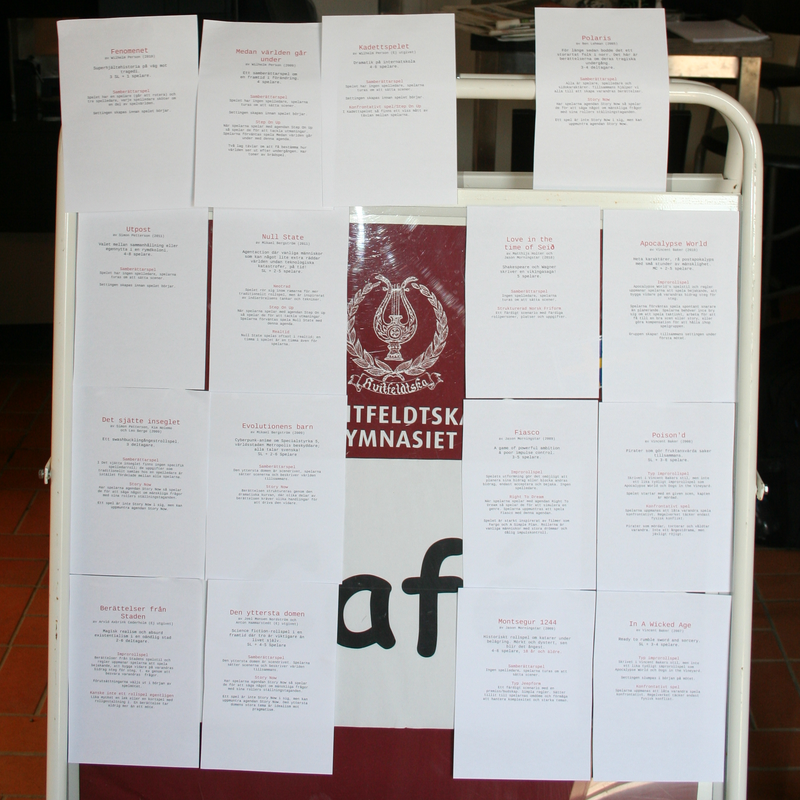 Nevertheless campaign play is supported. The form is GM plus players. But the two page example of actual play shows how all the players have input on the story, not just the GM. A story game in a traditional costume. 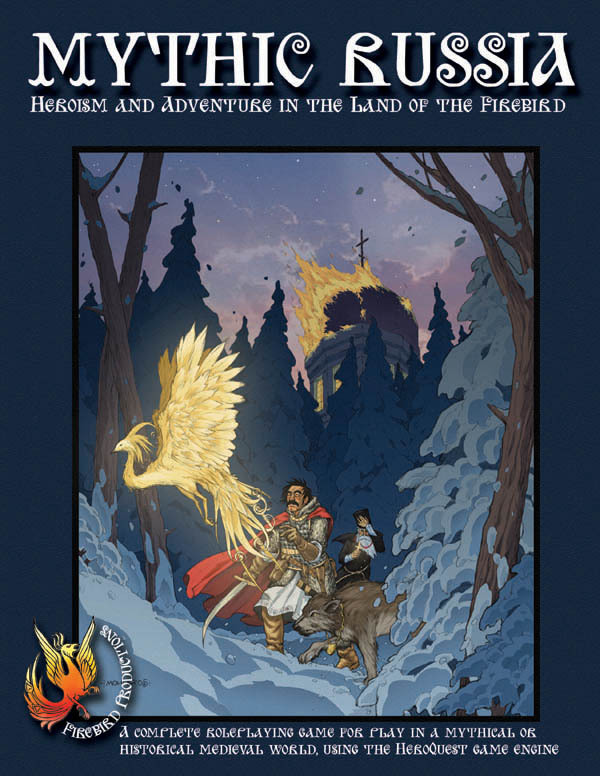 There is a section with advice to the GM and an intro adventure that the GM is expected to flesh out a bit when running. The setting is good, there is enough information in the book to write and play a few adventures. And the dark future comes to life in the setting. The rules are very good, a simple mechanic that manages to have depth, and the rules will produce broken gang members, desperate to fight their way up from the misery on the streets. The form is good, the play example, GM advice and example adventure show how to run and play the game. It might not be a perfect match for an absolute beginner, but I can definitely think of worse games for such readers. I hope so, the rules are solid, and I like the setting material. I might hack it a little bit to support journalists or police officers as characters first though. 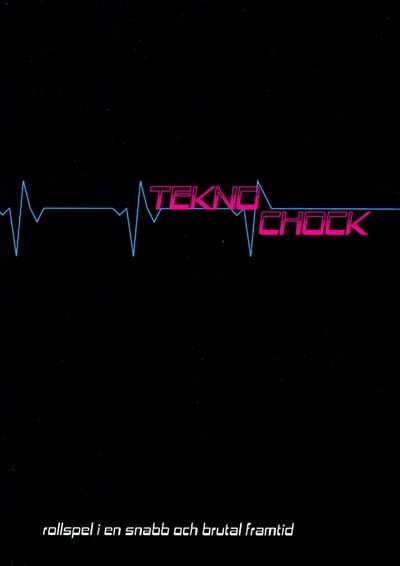 The 20 year old game Mutant 2089 was my goto game for the genre, but Teknochock has taken it’s place.